Happy 102nd birthday, Mom. Thank you for having always encouraged me to try new things, to speak out for what I believed, even if they were all your ideas. To let you know, though, I have found my own convictions, many of them in favor of women having pride of place in all ways and in all places. That one was your idea, and I agreed. I bet heaven is full of women who now enjoy full inclusion in the wide embrace of Godde—you too! When I first read Borg’s, Meeting Jesus Again For the First Time, I was thrilled that the Jesus I’d come to know through the Ignatian Spiritual Exercises, was acknowledged by a Jesus scholar of history and culture. I’d fallen in love with this feisty Jew of Nazareth, with dirt under his fingernails and dust on his feet, who spoke pithy, provocative wisdom in one-liners. Thanks to Borg, John Dominic Crossan, and John Shelby Spong, I knew Christ wasn’t just a figment of my own fertile, idiosyncratic, prayerful imagination. And I fell in love again. Borg was a Distinguished Professor of Religion and Culture at Oregon State University and the Canon Theologian of Trinity Episcopal Cathedral in Portland, Oregon. He was not ordained, except maybe by the Holy Spirit of Godde. Ordination is not a requirement for a canon. According to Borg’s wife, an Episcopal priest, to be a canon you only have to be a “big shot.” Boom, boom! He died on January 21, 2015, at the age of 72, two days after the day we remember Martin Luther King, Jr. Both men were prophets of transformation, King for racism’s evils, and Borg, I would say, for the liberation of the Christian religion from “barbaric” ideas that denigrate the very heart of what Christian’s call God’s Love. What is loving about a God some call Father, who demands payment for sin through the death of a beloved son as a condition for reconciliation and forgiveness? At a talk in March, 2013 at All Saints, Pasadena, Borg called this understanding of Jesus’ death “a destructive corrosive notion.” I call it devastating theology—unjust to God and humanity, just like racism, et. al. Even as a child I thought this notion was “really dumb” and bet my own father would never even think of such a thing. I’d also had a very different foundational experience of a God I knew wasn't like this. This helped me discount just about everything I heard in church. But as a kid I was too busy memorizing and reciting all those elaborate Presbyterian definitions, for which I earned awards—little pins I still have. This I did for myself, not for God, although maybe God appreciated my earnest efforts, as any loving God would. The payment-for-sin idea came in through Anselm of Canterbury in 1098, whose theology prevailed as doctrine, against the objections of his opponent Abelard. Abelard thought better of God and humanity. 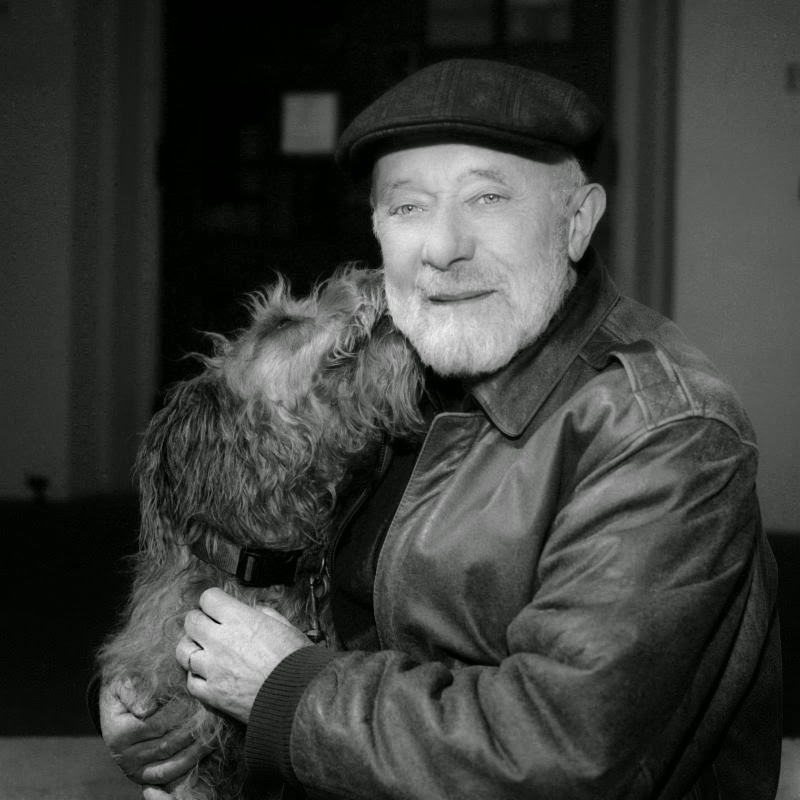 No wonder the late Madeleine L’Engle, author and faithful Christian, named her dog Abelard! Animals and people are God's gifts for us to love and be loved by— not to kill for God's sake. The earliest Christians realized that animal sacrifice in the Temple was an offering, a gift, not a payment or ransom. Today, if we're generous, we sacrifice (the word means to make holy) money. We carry it forward to the altar on plates at the Offertory, and it gets blessed, just like the bread and wine. Money serves grace, not the reverse. When I celebrate Eucharist and say the words of atonement, I no longer wince, as I first did. (There are revised prayers now, but entrenched doctrine dies hard.) In my mind I change “for our sins” to “because of our sins.” According to Borg, the word can translate “for” or “because.” And by God, Jesus surely died because of human sin. How often do we crucify Love? Daily I suspect. I first read Borg in seminary, a little article on Jesus. This man has something, I thought, and watched for more Borg. His work enlivened my Christianity and refined my understanding of the God of grace I first trusted. Well, once I cheated and betrayed my own theology. I answered a canonical examination question about atonement theology, defending the traditional doctrine. I’d had enough trouble with the Church and wanted to get ordained. I wrote something icky I knew the examiners would love: Wouldn’t it make sense for a guest to wear the proper attire for admission to God’s banquet? (The proper attire would be Jesus Christ, lamb of God, sacrificed to save us— the ticket to get in.) I don’t know if any end justifies specious means, but I was so happy and proud to get ordained that I presumed on divine forgiveness. Experientially, and according to personality and circumstances, there are Christians of the First Person of the Trinity who directly experience the sacred in the Creator, and Christians of the second (Christ/Son) and third (Holy Spirit) persons. This capacious articulation protects me from being judgmental, or spiritually competitive. Borg identifies himself as a First Person Christian, having never had a direct experience of Jesus. So, dear Mom, do you remember that once I asked you if you believed in Jesus Christ? It was at the peak of my Jesus zeal, and worried you might not even be a Christian, because all you ever spoke of was God. “Of course, darling,” you said, and that was that. Well, now you’re in the heavenly rest place of all our yearnings, and you might meet a man named Marcus Borg. If so, he is a First Person Christian, just like you. P.S. I've read most all of Borg's work, also what he and Dom Crossan created together to illuminate for us the path of Christ lived by Jesus, the remarkable man of God. I plan to read Borg's latest and last book, Convictions. Borg recently said that he gets suspicious if he meets someone of 40 who has several firm convictions, but if, by 60, one has no convictions, it might be time to worry. When I was 4, I had a conviction or two, connected with what mattered to me. By the time I was 40, I had no clear convictions, except one: to find a conviction, or two, and go for it. Greetings from Florida where I thought it would be warm. Well, it's warmER, but my expectations were off again. So, what's new? I'm on a tiny (10 miles long and a few wide) island called Gasparilla. It's part of a chain of small islands, including Captiva and the more famous Sanibel, and named after a pirate of old called Gaspar, who led raids and got his name into history. 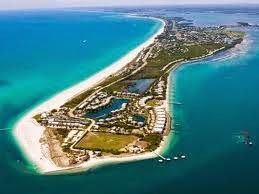 The town in which this small isle is located is called Boca Grande. Its means Big Mouth in Spanish, a designation that refers to the big mouth of the Gulf of Mexico and its inlets. 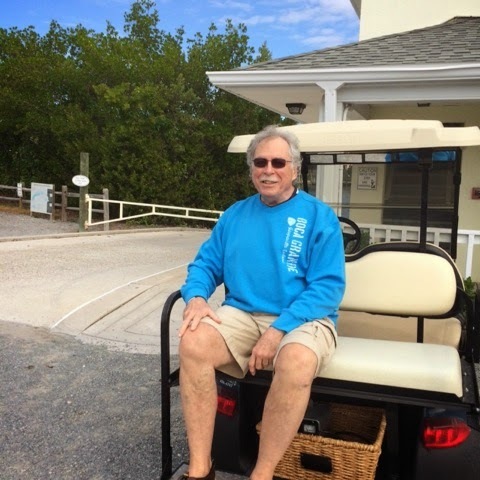 Thanks to the weather, I now have a Boca Grande sweatshirt— advertising my own big mouth. Thanks to the recommendations of Google-god who spit out my name, I came to lead a women's retreat at St. Andrew's parish. We took a few vacation days as well. 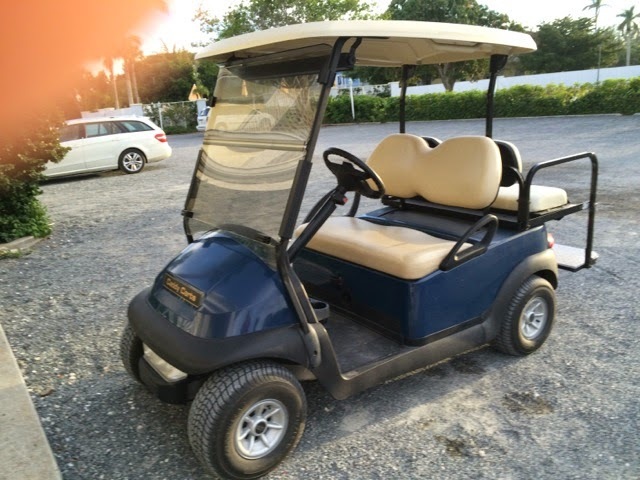 On this isle people get around mostly by golf cart, so we have the parish rector's cart on loan. Guess who drives? And guess who gasps and yells slow down, STOP sign, and other harassments from the front seat? Someone didn't charge our cart long enough, and the other someone called, "We're out of gas!" as our cart began to buck and jerk. The mate screamed back, "There is no gas; it's a battery, and I charged it!" Not long enough apparently. Nevertheless, we are grateful to the rector, the Rev. Michelle Robertshaw, who came to rescue us in her CAR, which we then could use to continue our touristic adventures while she got help to charge up the little cart. Good to go! Here is our regular morning visitor, a scavenger. 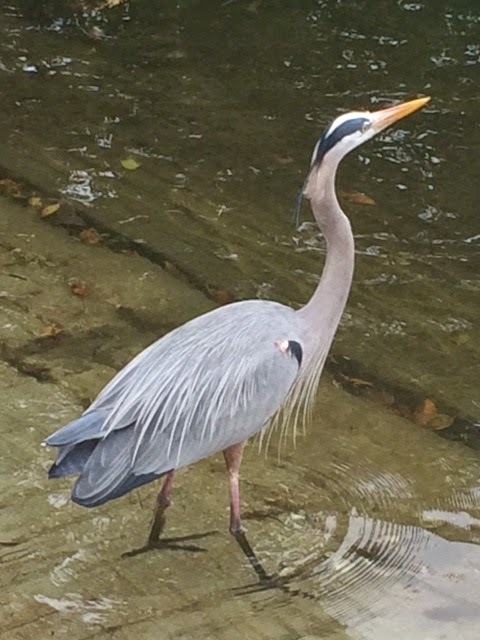 Handsome feathered fellow, well fed. 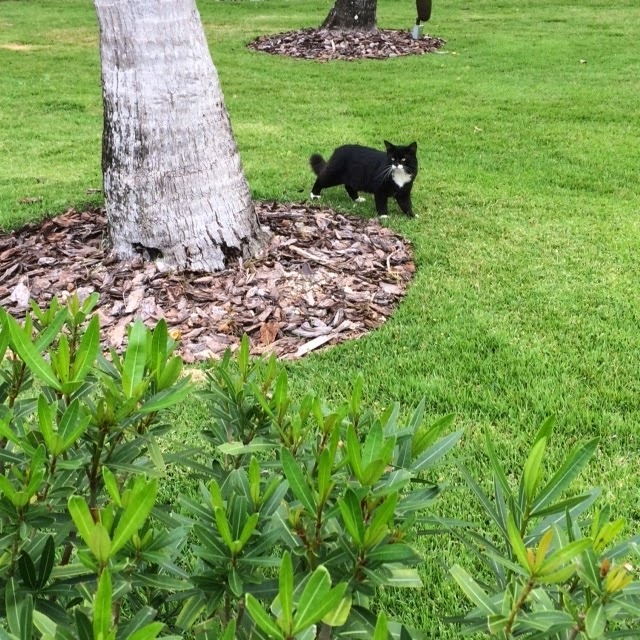 And the little feral cat who, with its many buddies, all trapped, spayed and readied for their cat job of keeping the island's rat population manageable. Makes good eco-sense. Islanders are grateful and feed the cats well. They hang around restaurants purring pleasantly, a feline strategy of begging. It works. Fascinated with all the flora and fauna in this clime, but specially the wild and thick mangroves which keep the island safe and protected from the waters. 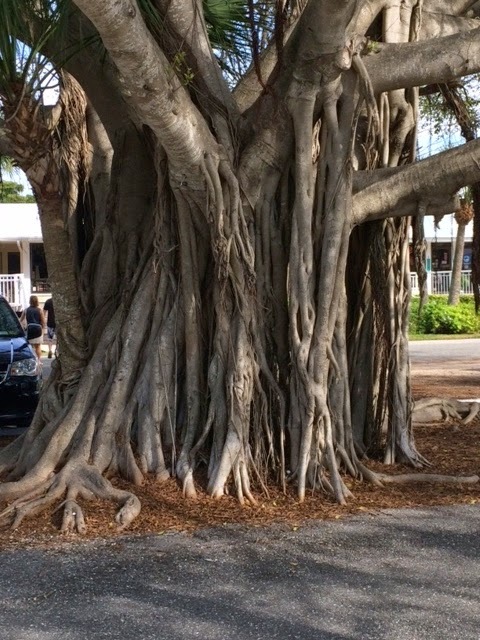 Also the noble banyan tree, destroyed by hurricanes yet returning bigger and stronger than ever, some of the branches actually growing downward to plant roots below for another outcropping of the tree. Imagine! Nothing is lacking, except gas stations. This the Johann Fust Memorial Library, restored, beautified by our friend, Alice Gorman, and a dedicated team and lots of generous people. It is a gift to minds, young and old. Cicero said: "If you have a garden and a library, you have everything you need." True! We fly home tomorrow to northern climes. 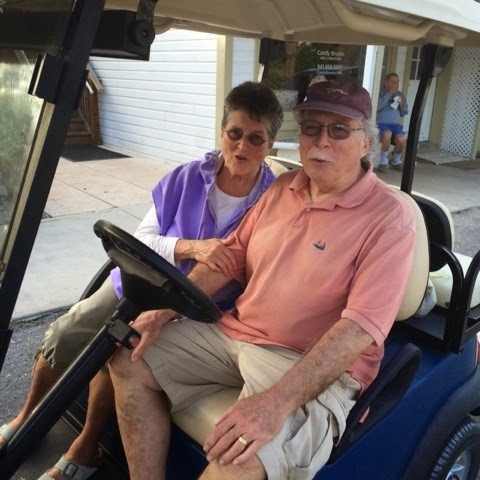 All in all, it has been a grand visit to a very unique place, filled with retired seniors like us, but with a lot more wealth than we have—a LOT more. Oh, the retreat.....Spirituality 101, held in a sumptuous home, quiet contrary to ascetical practice, but with a gracious hostess, lots of laughs, and poetry, and wisdom, and bright women who want to know their own soul-worth more deeply and enhance their connection to God through the work of Christ Sophia, the feminine face of the Holy Spirit. 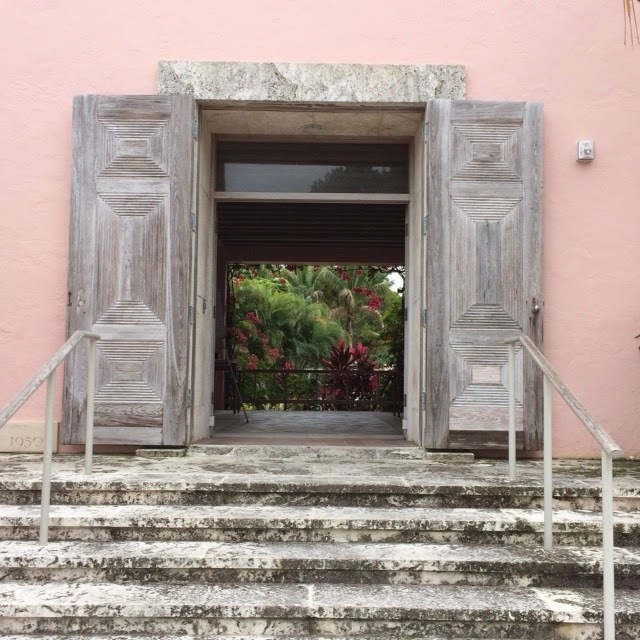 Here is St. Andrew's church—a blessing. Nathanael asked about Jesus of Nazareth, aka the Christ: "Can anything good come out of Nazareth?" Philip said, "Come and see." I ask: Can anything good come out of a small church on a little island? Come and see! Marilynne Robinson said this in an October 5, 2014, NY Times Sunday Magazine, interview conducted by Wyatt Mason. Robinson, 2013 recipient of a National Humanities Medal at the White House, is one of the few contemporary writers who is not afraid to speak out about fear. She is also not afraid to speak out about being religious—a “bent” she seems to have been born with, she says. Even clergy these days are hesitant about their religious "bent" and couch their religious faith in currently acceptable terms of spirituality. It’s post-Christmas time. It’s post-Christian, post-modern, post-everything, as far as I can figure out. For me it’s post-menopausal, at the least. What’s ahead? I get tempted to “respect” fear too much when I let it hold me back, when I over-anticipate negative outcomes. What if?—and the like. Every Christmas season we engage in our annual ritual of watching the film, “A Christmas Carol,” based on the 1843 novelette by Charles Dickens. We watch the 1984 version with George C. Scott playing the aging Scrooge, frozen in his ways by self-preservative strategies, derived from a cruel and humiliating early history. Fear ran Scrooge's show—fear posing as greed. Scrooge shut out the clamor of the world, amassed as much money as he could, never looked back, or forward, or round about him. We sat on the edges of our seats, pulled along by the old familiar story we knew by heart. Or did we? It was like Holy Scripture—everyone’s story in all its naked ugliness, yet without any easy answers or security that it will, in fact, turn out all right, just because some people notice what is holy, good, and, yes, divine. But will they (or we) choose good? Will Scrooge? Oddly, our hearts were never quite sure until Scrooge ended up on his knees, weeping and full of grace. It was the emotional incredulity that kept, and keeps us every year, watching to make sure fear does not have its way entirely and looking forward to pure rejoicing, once again, at the end. This year a phrase, or idea, from the script I hadn't noticed before struck me. Call it Scrooge wisdom. It went something like this: remember your past well, in order to live fully aware in your present, for these two combine to influence the yet unknown future you are creating. All three of Scrooge's Spirits are connected. The past, the present, and the future are never completely separable one from another in the human psyche. I call this the healthy internalization of one's personal cycle through time. As in Scrooge's transformation, the impact of all three time "zones" had to be known and integrated before his heart unlocked, defrosted, softened, and turned from fear to love. Marilynne Robinson writes similarly compelling narratives. Her characters evolve and change, less dramatically than Scrooge, but then Scrooge needed several brickbats. Robinson's assessment of our current cultural condition isn’t too far from Dickens’s, however: that we have become overly fearful, and that our fear has become a respectable excuse for not acting as we should. My gosh, I can identify with that when I hurry by the many beggars I pass on the city streets in Boston and hastily drop money into their cups or guitar cases. I’m generous, yes, a kind of good thing, yet I confess that I feel fear underneath. I’m not sure exactly of what. The future perhaps? These folks are always courteous and always say thank you, or God bless you, and sometimes have a musical offering. Robinson is 70 now and has always been unafraid to write openly about internalized religious faith through story. 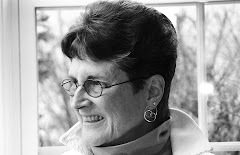 Her characters have “soul voices” struggling to be born as they learn to speak for themselves. They often seek guidance from religious resources, like the Bible, while they are working out the scriptures of their own lives. Dickens did the same. He was critical of religious hypocrisy and pious practices, so religious faith expressed itself from the inside out. We see Scrooge’s soul go through hell and back. And do we know it’s all a dream? Sort of. Scrooge, like the biblical Saul on the road to Damascus, stands out for his powerhouse, overnight conversion. Robinson’s heroes stand out by a similar process, though more nuanced like the slow awakening that begins for the disciples on the biblical road to Emmaus. I'm afraid to be called a crazy religionist, so I take courage from Robinson and Dickens. I share a portion of their fine writerly souls, and delight in the enlightenment that comes to their "fictional" heroes. They help me notice and appreciate the steady stream of transformative moments all around me every day. Honestly? I take more courage from the solid faith of minor characters, supporting roles, who, though less central, are just as luminous in their steady recognition of the sacred in all life—the medicine for fear-driven living. Today is the Eleventh Day of Christmas. 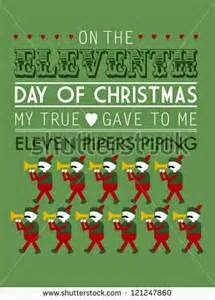 On this day the true love receives eleven pipers piping. These noisy celebrants symbolize Christ’s eleven faithful apostles. I love the old English carol, originally written in 1720, about the partridge stuck in a pear tree, the best Christmas gift imaginable from a devoted lover to his/her true love. Right? The pear-treed partridge was only the first of twelve gifts, one for each day of Christmastide. Each gift got more grandiose, including eight maids a-milking, a gift that stretches even my soul. Finally the Magi, wise as they were, arrived at the manger with more practical gifts, cash-redeemable. Mary Davies Cole, a poet and visual artist, and a friend who lives in Gloucester, wrote her own version. Works for me. I was somewhat depressed, but not drastically so. I noticed it was pitch dark at four PM. The dog threw up on the living room carpet. Rare for the bits of green in it. And causing the dog to throw up again. Light the needles and the dog on fire. In the coop outside let alone any partridges or even a pear. that had just gone to Jesus with the trash. But no one ever likes black eyed peas. To wonder if the Tenth Lord was actually gay. It was suddenly Hallowe’en and you know what happens next.